Founded in 1994 by Len Suzio, GeoDataVision has provided community and mid-size banks sophisticated CRA performance evaluations and market data analysis. GeoDataVision provides community banks the significant benefits of computerized mapping("GIS") and expert CRA and HMDA advice. (GIS) is computer software that displays data in maps. The ability to see the geographic dimension of large volumes of data substantially enhances the understanding of this important information. The Community Reinvestment Act (CRA) requires banks to map their "Assessment Areas" and to analyze the geographic distribution of their loans. GIS can help bankers recognize market geodemographics (how demographic data is distributed over an area) and to see loan and deposit geographic distribution. You can picture where your customers, your competition and your prospective customers are, and compare this data to your branch locations and marketing focus. As a former community banker, Mr. Suzio understands that few community banks can commit the time and personnel to master the technology and maximize its potential. Most community banks get far greater benefit from outsourcing this important analytical tool. Computerized data mapping combined with relational database techniques (correlating two distinct data sources such as census data and bank loan data) can provide significant benefits to banks. You don't have to be a GIS expert. GeoDataVision can do the work for you! In 1994, Len Suzio founded GeoDataVision to provide to community banks the significant benefits that a relatively new type of software called GIS made possible. 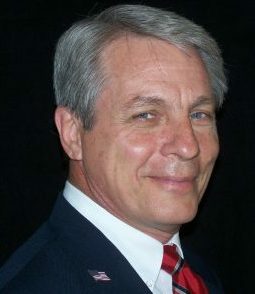 Prior to starting GeoDataVision, Len Suzio had been in banking in Philadelphia and Connecticut for more than 17 years. Mr. Suzio was an executive vice president, senior loan officer and director of American National Bank and a director of two other Connecticut banks. In 1983, he was recognized as the Outstanding Banker in Connecticut by the Small Business Administration. He also testified as an expert in front of the United States Senate Subcommittee on Small Business that same year. Len Suzio is a nationally recognized CRA expert. He has spoken at ABA and ACB national compliance conferences as well as many state compliance meetings and has been a featured speaker at numerous webinars. He has published a number of articles on CRA in industry-wide journals such as The Journal of Finance and Risk Management published by Robert Morris, Associates and Community Banker Magazine published by America's Community Bankers. Most importantly, Mr. Suzio has been a community banker and has worked with hundreds of community banks to help them develop a professional CRA compliance program that meets regulatory expectations and reduces performance anxiety.